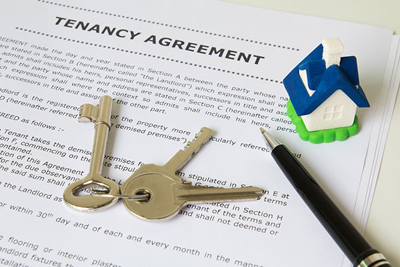 Being a landlord or a tenant is no easy task, with both parties having to face risks that are inherent to such property agreements. landlords who offer their properties in good faith can come across tenants who do not respect the value of the property. For the same reason, tenants who are desperate for a place, either for residential or commercial purposes, can come across property owners who could try to take an advantage of the tenets situation. Hence, check out below for what affected parties can do, if they had to face such a difficult property related matter. A. Carefully studying the rent contract and being aware of your legal rights and responsibilities. B. If an issue arises, immediately notify the other party while being open and honest about the matter. C. Create hard copies of the communication that happens regarding issues connected to the property or the tenancy. Nevertheless, if prevention did not stop a dispute, then the next step is to know how the legal process works. The Rent Act No. 7 of 1972 is the key legislation that governs things related to rental properties in Sri Lanka. However, there are limitations to this statute and it does not cover all aspects, of renting or leasing properties. Typically, the properties that are covered by the rent act is pro-tenant, while properties that are not covered by the rent act tend to be pro-landlord. The rent act governs nearly all properties in Sri Lanka, except for the exclusions mentioned below. A. Residential premises occupied by the owner as of January 1, 1980, and has been rented on or after this date. B. Commercial properties constructed after the 1st of January 1980 and were rented from this date onwards. C. An individual with a valid visa according to the Immigrants and Emigrants Act who also has a monthly income that exceeds Rs. 1000. D. Properties used by a non-resident company, except for those that were rented before the 12th of December 1980. E. All real estate properties including business premises in certain regions, where the annual value of the property exceeds a certain amount, as specified in the rates assessment. F. Real estate properties where the landlord is a company registered under the Companies Act No. 17 of 1982. If a legal issue arises, how should the two parties proceed to resolve the matter? Find a competent mediator: If simply talking to the other party did not resolve the issue, it is best to get professional help to mediate the property related matter. An experienced notary should be able to carry out the task. Submit to arbitration: Arbitration can be somewhat similar to mediation. However, arbitration can be binding. An arbitrator would hear all sides of the matter and may issue a binding ruling to which the affected parties must adhere. Gather the necessary documents: The documentation that recorded the interactions between the landlord and the tenant provides the best defence for the affected party if things escalate further. Let the lawyers negotiate: Get legal help to resolve the issue. Usually, the lawyers may come up with a solution fair to both parties. If this doesn’t work either, then the next step is litigation.